From late March thru November, the remote and rustic LeConte Lodge is a busy place with the arrival of overnight guests. Most are hikers who have have completed the seven mile, 4000 foot trek on Trillium Gap trail to the top of Mt. LeConte (elevation 6593 ft.). Others will have taken the equally challenging Boulevard or Alum Cave trails. Needless to say, all are hungry and looking forward to the evening meal prepared by the Lodge’s cook Doug McFalls. But in the off-season, when things are quiet at the lodge, Doug is still there in his role as winter caretaker …and the only person to witness the winter wonderland created by last week’s snowfall. On the morning of December 21 when he took this photo, the temperature was 12 degrees and the snowfall measured 32 inches. 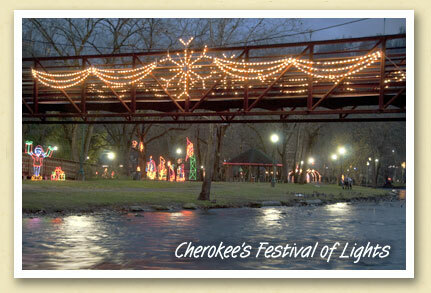 While in the Great Smoky Mountains National Park, LeConte Lodge is a privately-owned business. The Lodge is so popular that, when reservations are opened on October 1 each year, many of the bookings are immediately filled. For more information, visit their website. 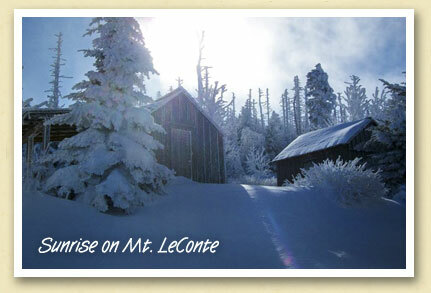 For more of Doug’s photos, visit his solar-powered “Life on LeConte” blog. The peaks of the Smokies have already seen several snows this year, but Friday’s snowfall was the first to blanket the bottomlands. 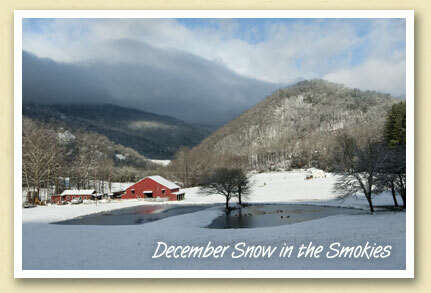 By nightfall, the Bryson City area had accumulated more than six inches of the white stuff. The above scene was photographed early Saturday just as the morning sun reached this picturesque valley in the Whittier community, with geese on the half-frozen pond and the cows waiting on their morning hay. Judged the overall best float in this year’s Bryson City Christmas Parade, the Marianna Black Library’s entry featured Youth Services Librarian Ellen Whitehead reading Clement Moore’s classic “The Night Before Christmas” to a group of children. It’s a role that Ellen performs regularly at the library’s “Story Time”, a reading program for pre-school children. 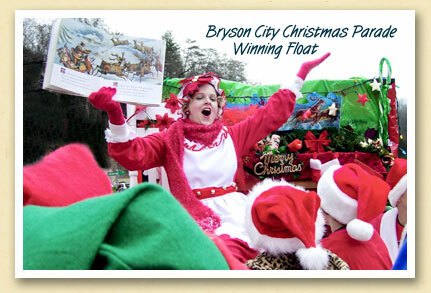 Known as “the biggest, little Christmas Parade in the Smokies”, the 35th annual Bryson City parade featured clowns, rock and country bands, floats, homecoming queens, marching bands, and of course, Santa.